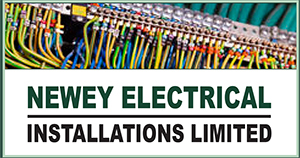 Our family owned business Newey Electrical Installations Ltd, was established in 1987, supporting Local Authorities undertaking many Government Housing and regeneration projects, subsequently becoming incorporated within the Newey Group in 2009, to date still owned and run by the Hingley family and over an expansion period of 30 years, our company has developed within several avenues of commercial new build construction, refurbishment and social housing to offer a complete electrical and construction service. With an established and qualified team of both electrical and build engineers, supported with equally experienced back office staff, we have sufficient resources in place to offer complete competence in housing development. All our operatives and engineers hold their respected individual and professional accreditations such as; SMSTS, SSSTS, CSCS, UKATA Asbestos Awareness and Face Fit Training. Our core values include: Integrity, Trust, Leadership, Teamwork, Respect and Professionalism with our vision to achieve excellence at all times. With this in mind, we endeavour to apply our core values to individual projects each and every time, to ensure that only the very best expertise is delivered to our clients. As an NICEIC Approved contractor for over 29 years, we are also proud of our additional accreditations for ECA, CHAS, ConstructionLine and QMS ISO Standards for ISO 9001, ISO 14001 & ISO 18001. All of our accreditation’s are annually renewed and closely monitored through assessment to ensure that the delivery of our projects meet and exceed industry standard. Together, these include our corporate and social responsibility, environmental awareness and our health & safety obligation which is paramount to ensure the safety and wellbeing of our clients and staff at all times, on and off site. We regularly put ourselves forward for awards through local authority organisations and in addition, we are committed and take pride in the investment of our dedicated team. As a business, we encourage projects and schemes by recruiting local apprentices for which we support through and beyond training into employment, whilst also encouraging the development of staff through NVQ training programmes. Employed as both Principle and Sub-Contractor by several well-known and established housing associations and local authority departments, we work closely with and part of teams to ensure that procurement aims and requirements are fulfilled. Please see our clients’ page for further information. 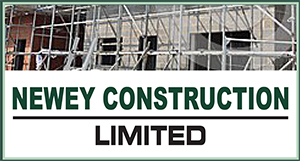 If you would like to find out more about Newey Group Ltd, or if you are embarking on an electrical or construction project currently awaiting delivery then please take a look at our electrical service and construction service pages. Further to this, please do not hesitate to contact our service / sales team to find out more information about our services available.